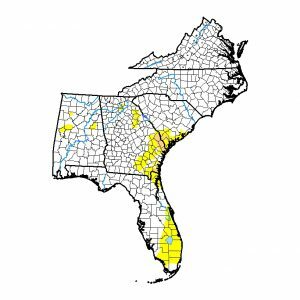 Dry conditions along the East Coast has led to a slight expansion of moderate drought conditions in eastern Georgia and southern South Carolina. 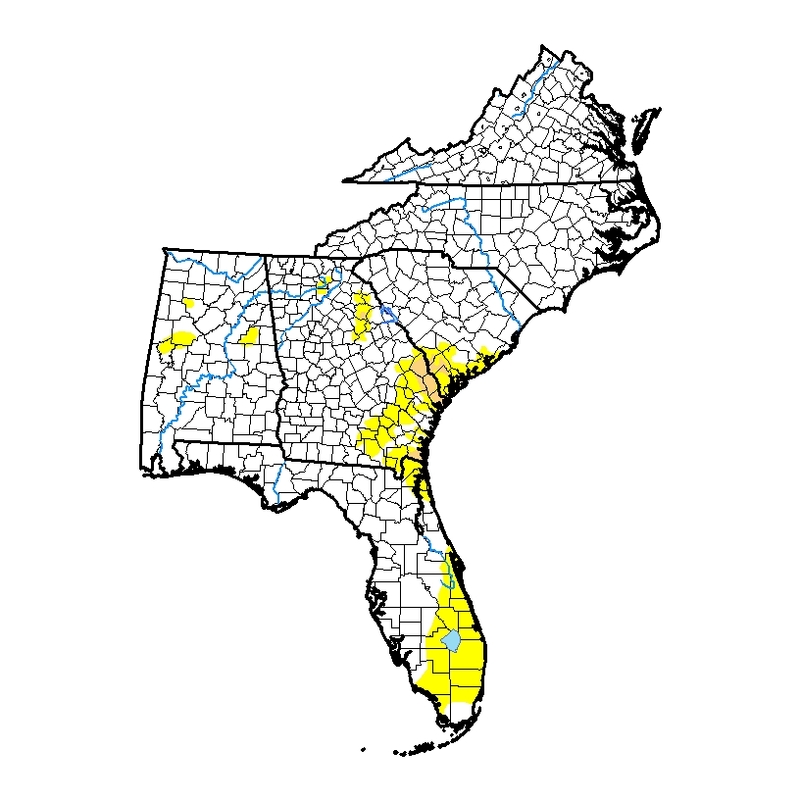 A small sliver of drought was also added to northeast Florida near the addition of moderate drought to the Brunswick area of Georgia. In Alabama, abnormally dry conditions shrank as rain helped moisten soils in the state. Most of the region should see a good bit of rain this week, so reductions in dry conditions in next week’s Drought Monitor are likely, except in the Florida Peninsula, where little rain is expected in the next week and dry conditions there could expand.